The maximum dive duration for a wild polar bear (Ursus maritimus) of any age is unknown, and opportunities to document long dives by undisturbed bears are rare. We describe the longest dive reported to date, by a wild undisturbed adult male polar bear. This dive was made during an aquatic stalk of three bearded seals (Erignathus barbatus) lying several meters from each other at the edge of an annual ice floe. The bear dove for a total duration of 3 min 10 s and swam 45–50 m without surfacing to breathe or to reorient itself to the locations of the seals. The duration of this dive may be approaching its maximum capability. Polar bears diverged from brown bears (Ursus arctos) about 4–500,000 years ago, which is recent in evolutionary terms. Thus, it is possible that the ability to hold its breath for so long may indicate the initial development of a significant adaptation for living and hunting in its marine environment. 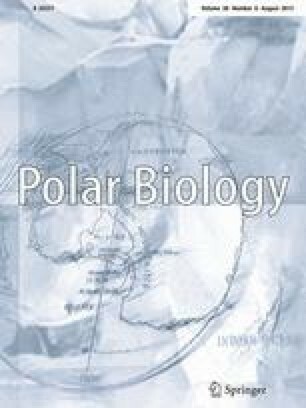 However, increased diving ability cannot evolve rapidly enough to compensate for the increasing difficulty of hunting seals because of the rapidly declining availability of sea ice during the open-water period resulting from climate warming. We thank Derryn Cooper and Petrina Steains for permission to use their video recordings of the aquatic stalk observed and Captain Mike Donnithorne for skillful piloting of M. V Lars to facilitate clear observations of this event. We thank Oceanwide Expeditions, Quark Expeditions, and One Ocean Expeditions for their support of our participation on arctic ecotourism expeditions where we have been able to observe undisturbed polar bears in their natural environment in Svalbard. We thank Dr. Andrew E. Derocher for constructive criticism of an earlier draft of this paper.